Southern Comfort has been the premier name in the minds of luxury van mavens around the globe for over 30 years now. The lifestyle-enhanced luxury offerings combined with our Southern Comfort’s obsession with world class design, unmatched quality, and innovative creature comfort solutions have always inspired the highest standard by which all other conversion vans are measured. Drawing upon a rich and storied history; Southern Comfort Vans remain truly passionate about designing and developing lifestyle enhanced luxury van which continually inspire our worldwide community of drivers. The truth is that conversion van customers have highly refined and discerning tastes. They seek out the best of everything, and expect the utmost in quality from all their purchases at every level – especially as it relates to major purchases like their luxury vans. And it is with that in mind that Southern Comfort Vans seek to custom craft all of the vehicles which bear the Southern Comfort brand to exceed those expectations at every possible turn. 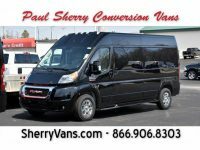 Owning a Southern Comfort Conversion Van can have many benefits to it. It is tough to describe these benefits to those who have not experienced conversion van ownership. 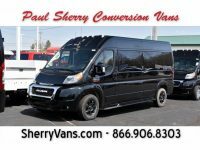 Here is a great article that best describes what it’s like to own a Southern Comfort Conversion Van.